Welcome to Grand Hotel Milano, Mr Ackett. I love the way the Italians drop their aitches, it sounds so much more charming than when spoken by the English. The hotel was conveniently located about 50 yards from our new flagship store on Via Manzoni. A retired and immaculately attired fashion editor related to me the story that Ackett is on the same site that around fifty years ago, a famous Milanese Tailor had plied his trade. He had visited the shop to interview Clark Gable who was being measured for a suit at the time, so we have a lot to live up to. Our business in Italy has been growing steadily and for the last three years, we have been selling to a number of shops around the country but never the whole concept of Hackett. This has prompted us to open now and with the economy in disarray, what better time to set up shop. Sandwiched between Via Monte Napoleone and Via Della Spiga, two of the most famous shopping streets in the world, we are well placed to look after the well heeled Italians who stroll around this fashion centre. Whenever we open a new shop, I declare it is the best one yet but I have to say Via Manzoni has set a new standard for us. It is a beautiful shop. Refined and elegant like a London Town house nestled in the heart of Mayfair, transported to the heart of Milan. I particularly admire the long and winding staircase that leads to the tailoring room. Here customers can relax, enjoy a drink whilst ordering suits, shirts or even monogrammed ties. It is a quiet haven from the bustle of the street; although I hope not too quiet. To mark our presence in Milan, it was important to make a bit of noise. We embarked on a couple of marketing wheezes, where we dressed a dozen models in our Mayfair tailored suits gave them Bowler hats and Umbrellas and a spoof copy of a newspaper that we named The London Times. 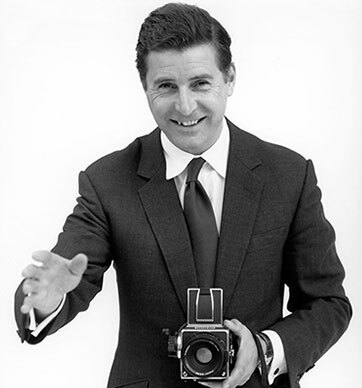 Emblazoned on the cover was the announcement that Hackett had come to Milan accompanied with photographs of the Hackett advertising. The models were then placed in strategic positions around Milan, including exiting a London taxi, taking tea at local cafes and generally having a lot of fun. We even brought the rain with us. 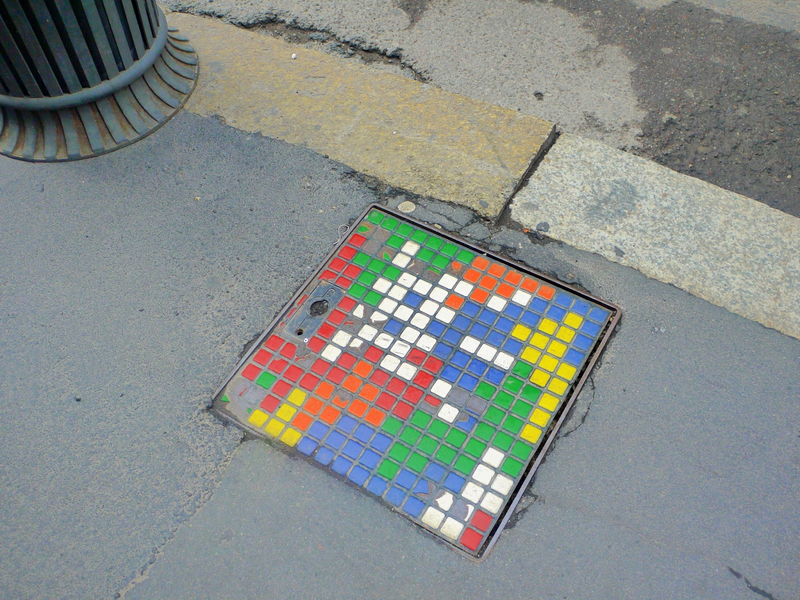 It caused quite a stir, in fact you can check out the video we made of it. Whilst all this was going on, I was conducting interviews with numerous magazines. What strikes me about the Italians is their love of fashion which starts when they are very young. I was chatting to a chic couple with their children in our Little Britons department. The children knew exactly what they wanted and when they tried on various items, they wore them with ease and confidence. Fashion is everywhere in Milan and whether it is cutting edge or classic, there is an overall appreciation of it. 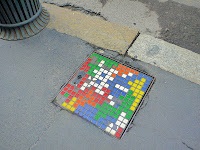 Walking down Via Monte Napoleone, I noticed a manhole cover painted in bright colours and I thought even manhole covers are fashionable. My main reason to be in Milan was for our opening party. As is the tradition, I arrived in a convertible Aston Martin DB9 with the hood down just as it began to rain. Fortunately, I had an umbrella. The party was a huge success, attracting more than five hundred people including a number of famous Italian actors. I have just made a flying visit to Dubai to support The British Polo Day of which we are the main sponsor. True to form, the organisers had put on a tremendous show. Lunch was laid out under white canopies where we sat enjoying canapés and quaffing champagne - I tell you it's tough. The day had begun with a series of interviews with local journalists - now that is tough! 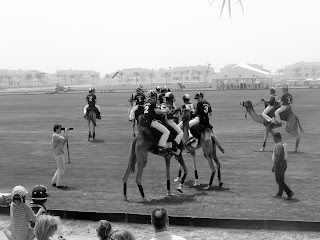 The Polo kicked off with Camel Polo, a game I had never watched before. It was amusing if slightly ungainly I must say. The following matches, on ponies, were played at a much faster pace with Oxford against Cambridge, Eton against Harrow and the Army played against a local team and in true British fashion, our Army team lost. This being a very British event, the Expats were out in force. Linen and khaki cotton suits or navy blazers were the order of the day. I chose to wear a blue and white cotton seersucker suit with a white double cuff shirt - well standards must be maintained. 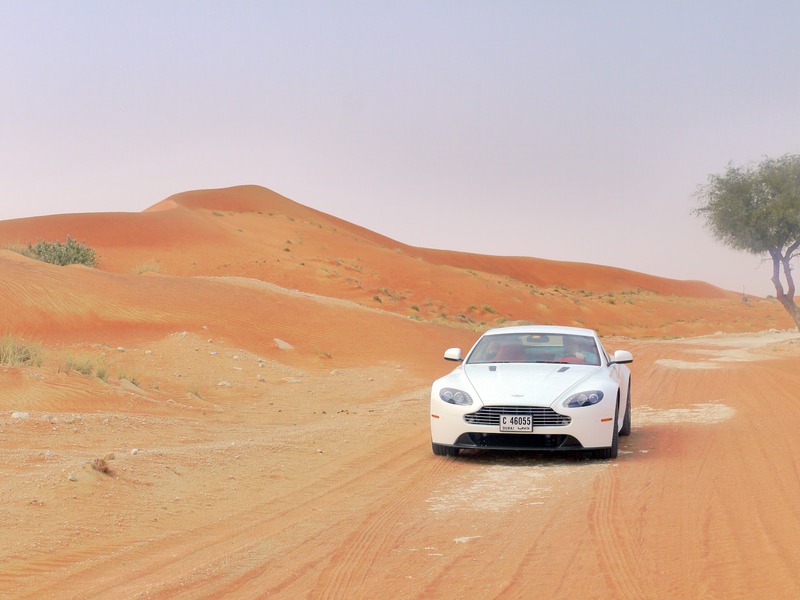 Neil, my sponsorship manager, had joined me for the trip and acted as my driver the following day when we drove to the desert to shoot some pictures of the Aston Martin Vantage S that had very generously been loaned to us. We decided to go off piste to really capture the desert environment; big mistake. We got stuck in the sand, not able to go forward or backwards. Fortuitously, a passing Arab gentleman came to the rescue and equipped with a shovel proceeded to dig us out of the hole we had foolishly made. It was déjà vu having been to Klosters in January, where our Aston had to be dug out of the snow. I said to Neil, in future I am not going anywhere with you, without a shovel unless, of course, Aston Martin develop a 4X4! I was so relieved to have been helped by this kindly man, that I suggested to Neil that we give him some cash, meaning Neil pay the man. We then realised that neither of us had brought any dirhams and he was unlikely to take a cheque, even if it was supported by a cheque guarantee card. As we were in the desert to shoot some mood pictures, we fortunately had some Hackett samples so I routed through the boot of the Aston and found a white linen shirt which, with much ceremony, I handed it to him and shook hands. He was visibly touched. We were at last able to get on with the photo shoot dressed in various Khaki outfits I posed with the Aston and then Neil posed with the Aston. Finally, pleased with the results, we set off back to Dubai. Relieved to have survived what could have been a sticky situation, I found myself humming the old Andrew Sisters song, Mr Sandman, out of tune naturally. We had one more event to attend, which was The Dubai Gold Cup. We had been invited by the Editor of The Rake magazine, a very grown up men's lifestyle publication. It was a hot ticket as it is the biggest event in the Dubai social calendar - if you don't count The Hackett British Polo Day! It was a spectacular evening with the best horses and jockey’s competing for an unbelievable cash prize. Sheik Mohammed, who owns the whole set up was at the prize giving and was only distinguishable by his robes which, were several shades darker than everyone else in white robes. We had to leave before the last race as our plane was at 1am. After an incredibly full weekend, I slept the whole way home. 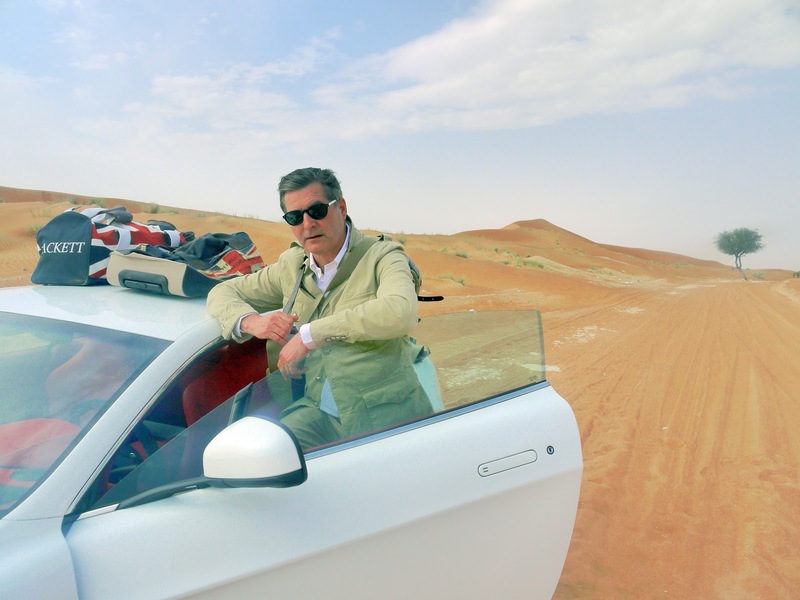 A cab was waiting for me when I arrived and the driver turned around to me and said " Are you The Jeremy Hackett" to which I felt like replying no I'm a desert prat.